Posted on April 19, 2019 · A report by an ocean advocacy group finds oil spills continue to happen. Posted on December 4, 2018 · On Tuesday's Houston Matters: As a week of mourning continues for former Pres. George H.W. Bush, we learn about the role his presidential library in College Station is playing in memorializing him. We learn about complications for lung and liver transplant patients at Baylor St. Luke’s Medical Center. We find out how Texas is using settlement money from the Deepwater Horizon oil spill. And James Prince talks about founding Houston-based Rap-A-Lot Records. 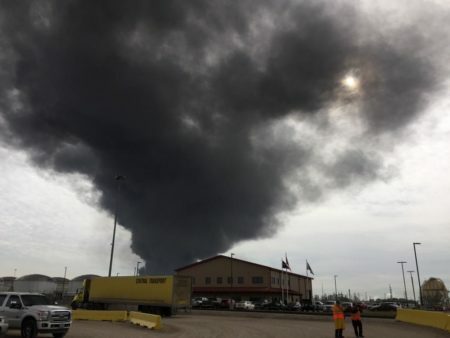 Posted on September 6, 2016 · The Ship Channel was closed to all traffic for one mile southwest of the Battleship Texas State Historic site Tuesday morning after a tanker fire led to an oil spill overnight near Deer Park. Posted on August 31, 2016 · There is new urgency to fix a safety problem affecting oil and gas drilling operations in the Gulf of Mexico. The problem is bolts that break. When Will the Little Guys Get Their Share of the BP Settlement? 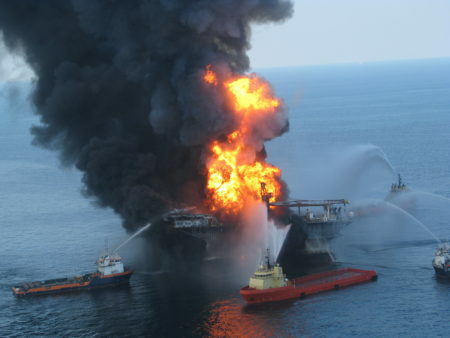 Could Some Good Come from the Deepwater Horizon Accident, Environmentally? Posted on April 20, 2015 · Michael Hagerty talks with filmmaker Margaret Brown.